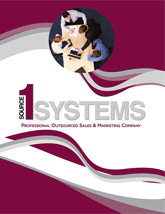 Source 1 Systems is committed to providing its customers and manufacturer-partners alike the very highest degree of professionalism in sales, marketing and customer service. By establishing solid partnerships and developing plans for growth well into the future, we can provide the essential strategic and tactical support that will ensure mutual success. 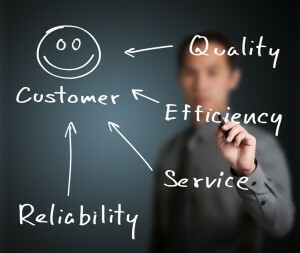 Source 1 Systems works to consistently perform beyond the expectations of our customers. We as a company provide our customers with the highest levels of responsive service, professional support and quality products to satisfy their requirements and deliver the very best value. Customer satisfaction is our highest priority! Teamwork and personal betterment are integral parts of our effort to accomplish our goals and objectives. Source 1 Systems encourages employees to challenge themselves to achieve excellence in their job performance and to grow in their responsibilities. By accepting only the highest level of performance and ethics in ourselves and the enterprise, we shall become the best at what we do in our profession, our personal lives and the community at large.